Another great, detailed Flash investigation! A good candidate for the builder of those nests would be Common Raven (Corvus corax). Or, possibly, Chihuahan Raven (Corvus cryptoleucus). I’m not certain of the relative breeding distribution of those two species throughout the park. 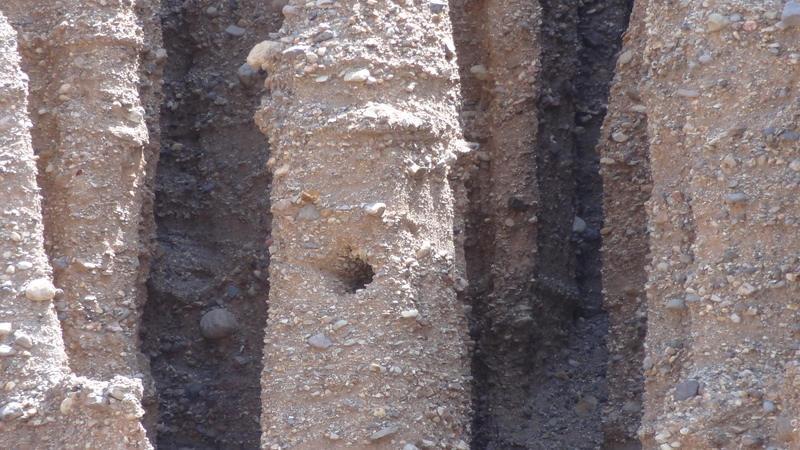 My guess is that the nests on the ground were deliberately knocked down after breeding season by maintenance crews. Possibly a fool’s errand, as ravens exhibit a great deal of nest-site fidelity and will re-use and/or rebuild nests at the same location year after year after year. 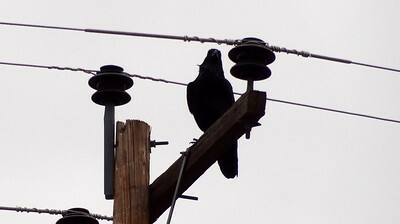 Most likely a Common Raven. 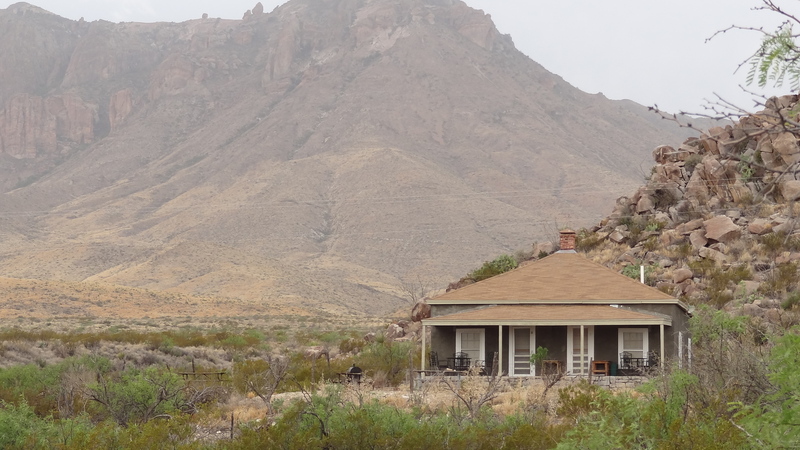 No crows in Big Bend. The raven is easily distinguished from a crow by its large size, heavy beak, hoarse croak and wedged shaped tailed in flight as opposed to a crows straighter tail. 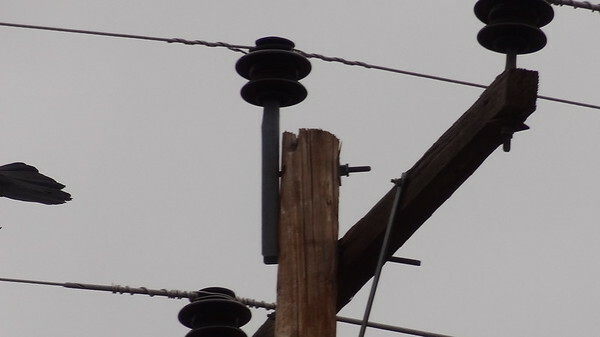 Here's a short video about ravens nesting on utility poles. Plus a deeper dive into some research done by the FWS on raptors and Common Ravens nesting on latticed utility structures. 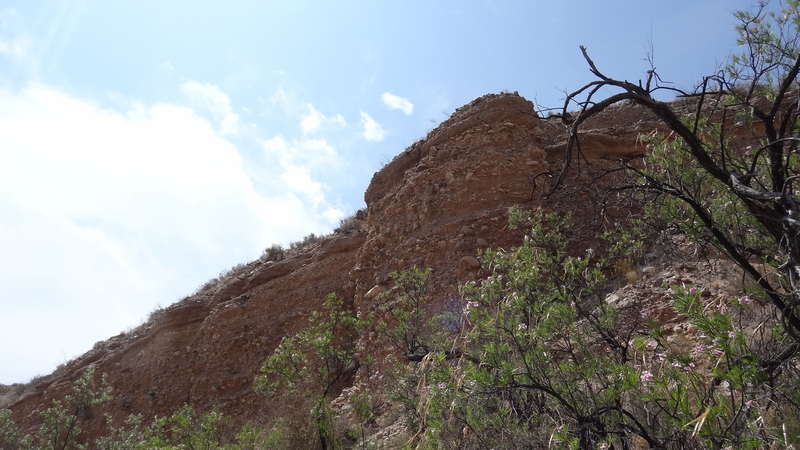 And a nice article from SORA about Chihuahuan Ravens doing the same thing in New Mexico. I knew that ravens, like most corvids, "decorate" their nests with found items, often man-made, but had forgotten that, in the ravens' case, the items are often lengths of metal wire. Tricky, when woven into a nest near or on a power line. However, the consensus of most of the literature I read tonight is that, in actuality, the nests provide little threat to the lines, nor are the birds in much danger of electrocution. Wedged shaped tail you say? I did manage to catch his tail! I knew that ravens, like most corvids, "decorate" their nests with found items, often man-made, but had forgotten that, in the ravens' case, the items are often lengths of metal wire. Good catch! That's a raven's tail alright. Or half of one, at least. Well, well, that raises all sorts of questions. I do believe that might be an oriole's nest. They always have that distinctive pendulous shape. I've never heard of a corvid stealing one and adding it to its own nest as decoration, which makes me wonder if an oriole actually chose to build its nest there. If so, that would point toward some serious cojones on the oriole's part. Or maybe just stupidity. Ravens are infamous for raiding other birds nests and eating their young. BUT it's hard to rationalize an oriole nesting in that habitat. Best candidate, I guess, would be Scott's Oriole (Icterus parisorum), though they're almost always found in close association with yucca and sotol. Was there much of either of those around there? 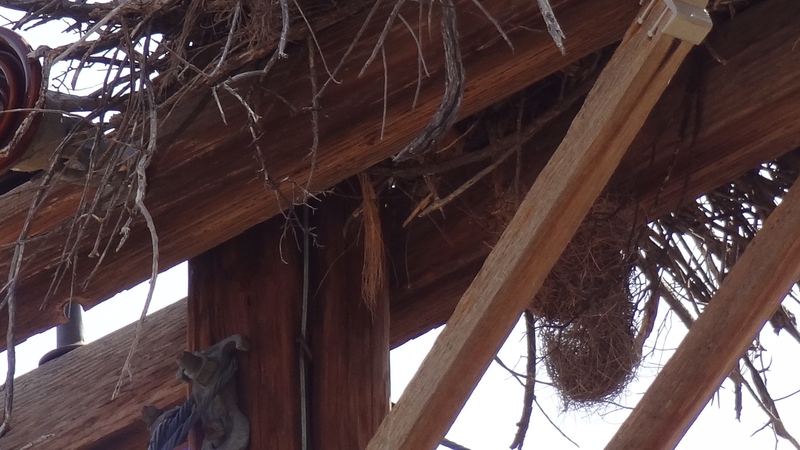 Looking very closely at the photo, I do think I might see a frayed strand of yucca fibers hanging down from the raven's nest or the pole's superstructure, just to the left of the possible oriole's nest. Only other explanation that comes to mind is that we're looking at what once was the central nesting cup of an earlier nesting by ravens. While the outer framework of a raven's nest is made up of big, bulky sticks and branches, the innermost nesting area is a deep cup of softer material. This might be the remnant of one of the older nests that, over time, has sunk to the bottom. I dunno....this one's a head-scratcher. Maybe someone else has a better answer. When I left camp at 8:40 am the next morning it was 61 degrees and cloudy. The front had arrived, but the temperatures had not dropped and were not expected to get much higher throughout the day. Stopped at the PJ Gas Station for coffee, ice, and visited with the cashier about stuff going on around the Park. Turned down the K-Bar Road and parked at the far end of an empty K-Bar #2 at 9:45am. It was 63 degrees, mostly cloudy with a steady light wind. Gathering everything together I wanted for an all day hike took a while, taking a couple extra layers, rain jacket, etc. 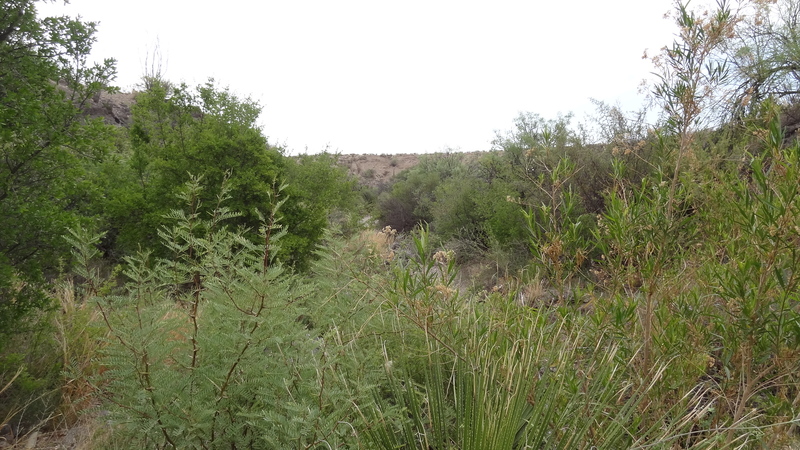 I finally got away from the truck at 10:15 and started marching eastward through the sparse brush toward Estufa Spring. I hadn't gone too far before I realized there were no trail cairns in sight and I had forgotten to review Parent's write up on how this hike actually starts off. 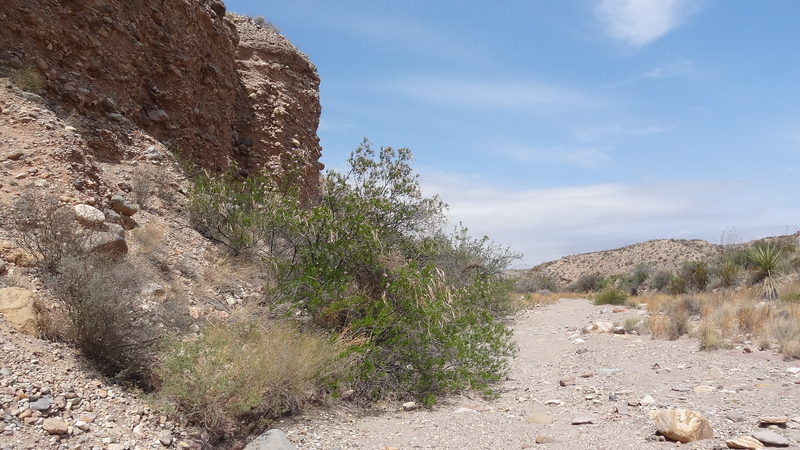 No worries, I had may GPS set on the spring's coordinates, which lies within a wash that runs into Estufa Canyon. 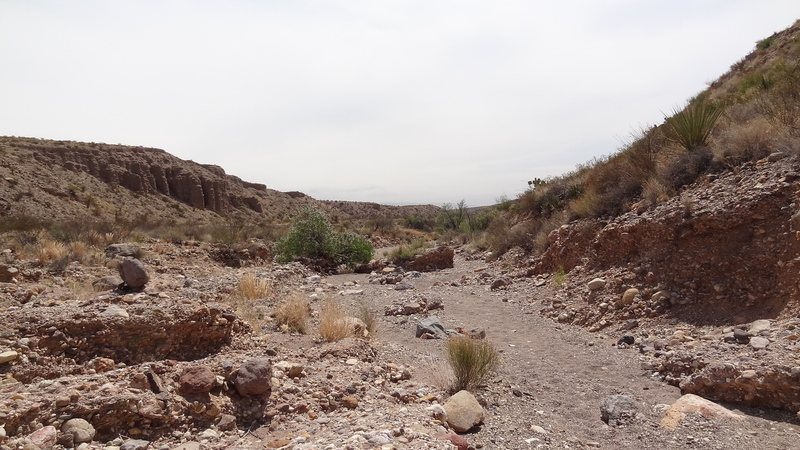 After I had gone about 0.1 miles, I dropped into a small wash that seemed to more or less be going the direction I was going, so I continued to follow it easterly toward Estufa Spring. 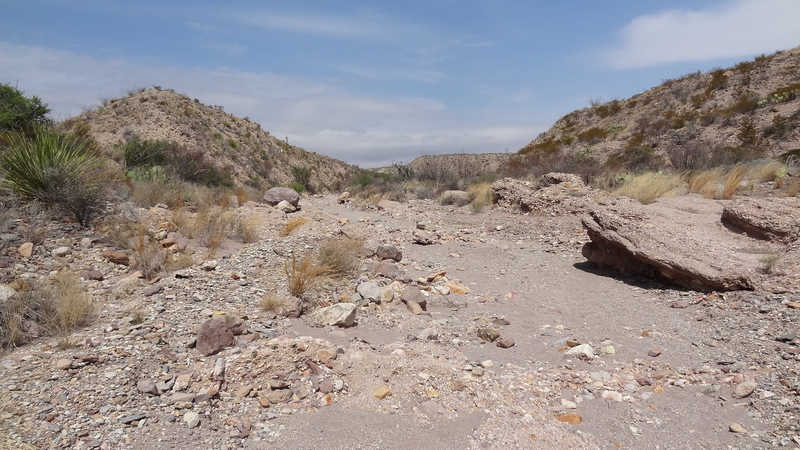 One thing I did understand from Parent was that the trip downstream in Estufa Canyon was supposed to be dead easy all the way to Tornillo Creek, which I found to be overall a correct assessment. This first part was a little iffy, having to jump out once in while to avoid brush bottlenecks, but once the wash got larger and more open, it was no problem. Twenty-five minutes into the hike, rain began falling lightly. Stopping at a boulder near the steep wash bank, I dropped my pack, stowed the camera, put on a DriDucks rainjacket, and installed the pack cover. 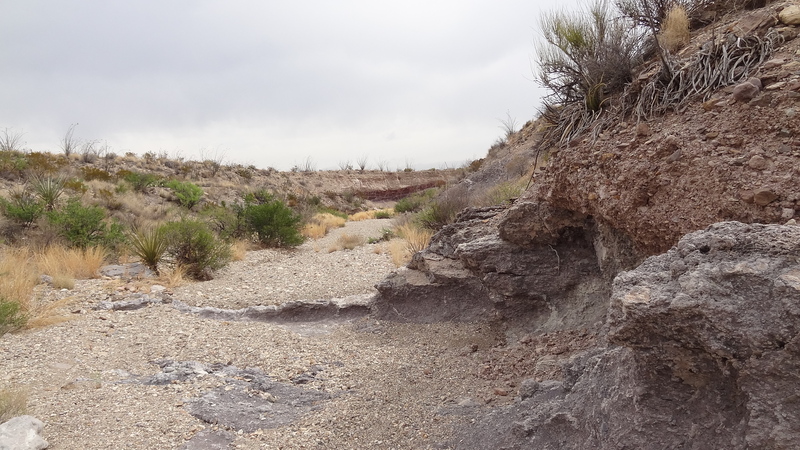 Not really liking the rain much, I bravely marched onward and wondered grimly if I might end up turning back after Estufa Spring. This gloomy train of thought was interrupted however, because after 20 minutes or so, the rain let up. Looking up, I saw the sun breaking through in the distance with a nice blue patch growing in the distant south. Hey, the front was blowing through, just like they said it would! 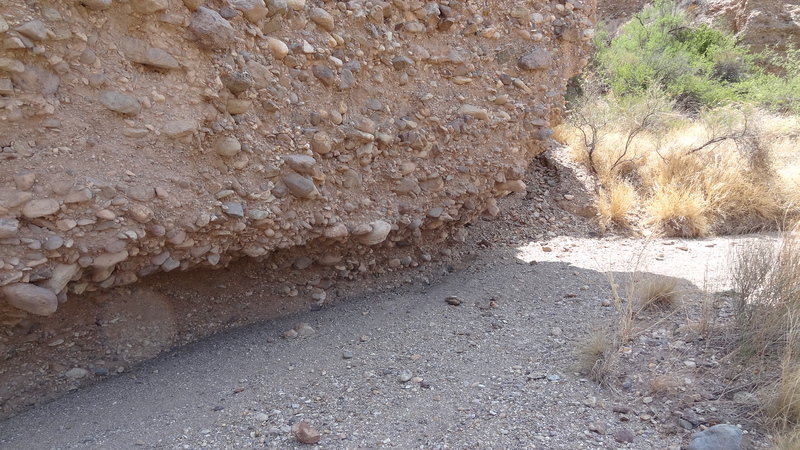 By 11:30, I reached the rough boulder pour off above Estufa Spring. I had traveled 1-1/2 miles so far. 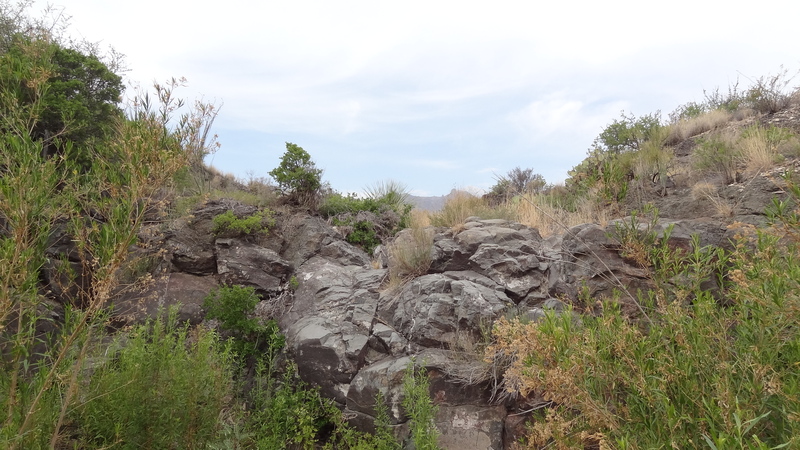 I tried following the bank to find an easy way down, but ended up backtracking and scrambling down the pouroff instead. As I mentioned in my Banta Shutin Water Report, no surface water was found here. 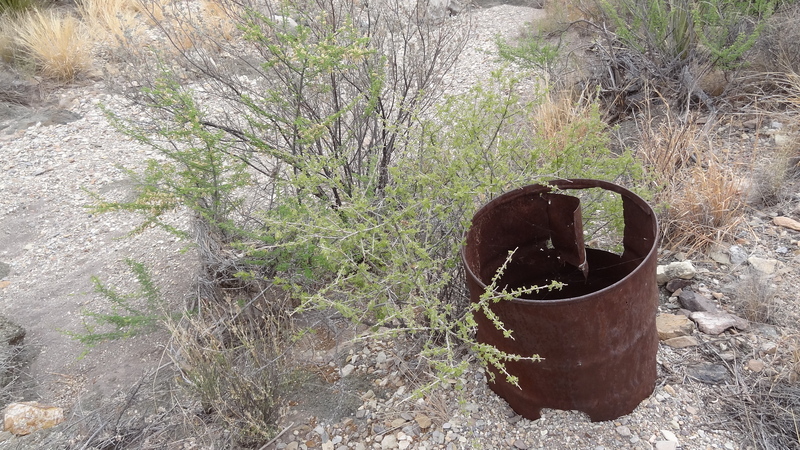 Walking down the Canyon, I found cairns sporadically. 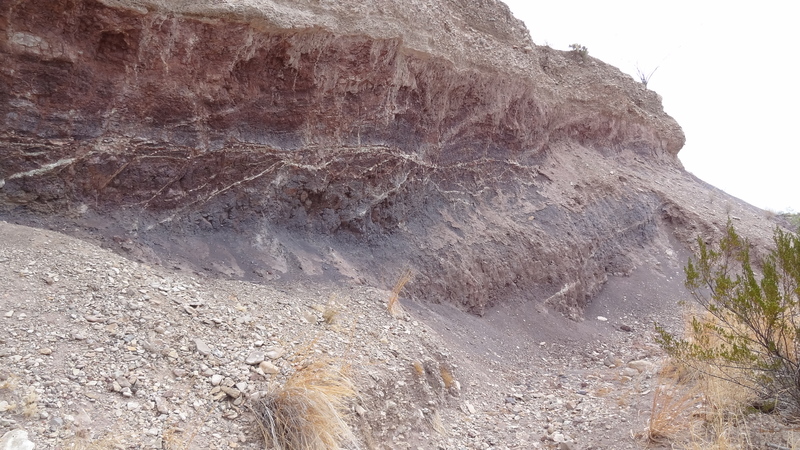 Later I determined this is because of the braided nature of the stream channels. In several places Estufa splits into 2 to 4 channels, any one of which will work and get you there and always coming back together again eventually. This explained why the cairns would come and go. 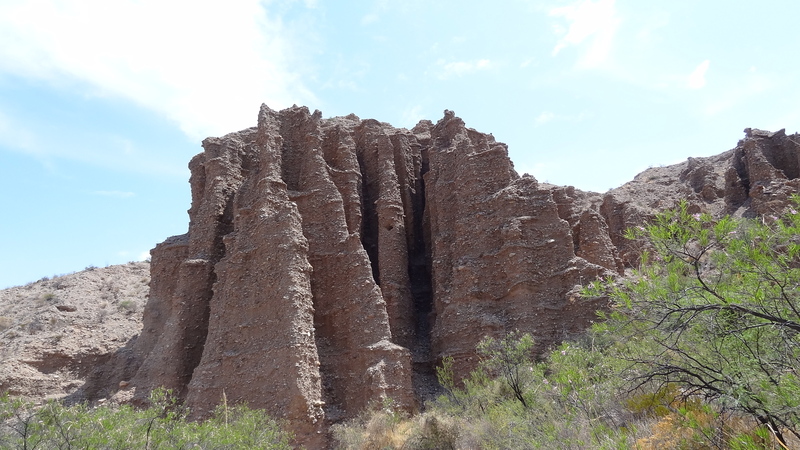 Estufa Canyon is very twisty in places. After the fact, from viewing the tracklog, I learned it doubles back on itself almost 180 degrees at one point. 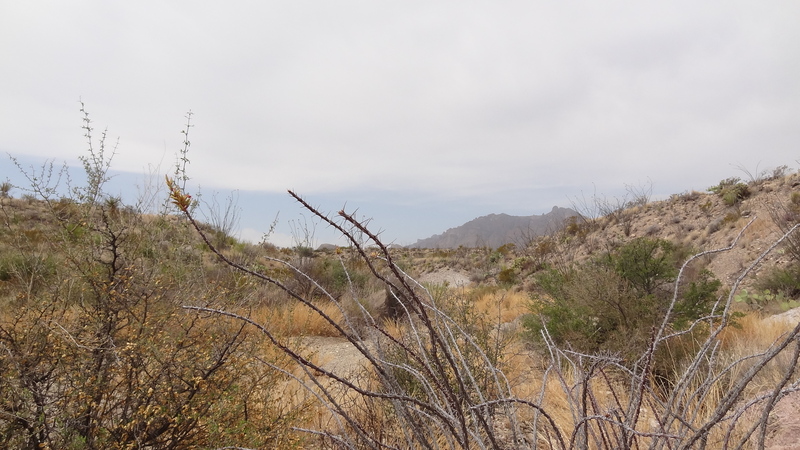 That must have been the spot where confused I stopped and dug out my compass, because I was seeing landmarks ahead of me, such as the Chisos, that did not make sense for traveling east. Well, I had been momentarily heading west like my instincts told me, but my eyes did not believe. 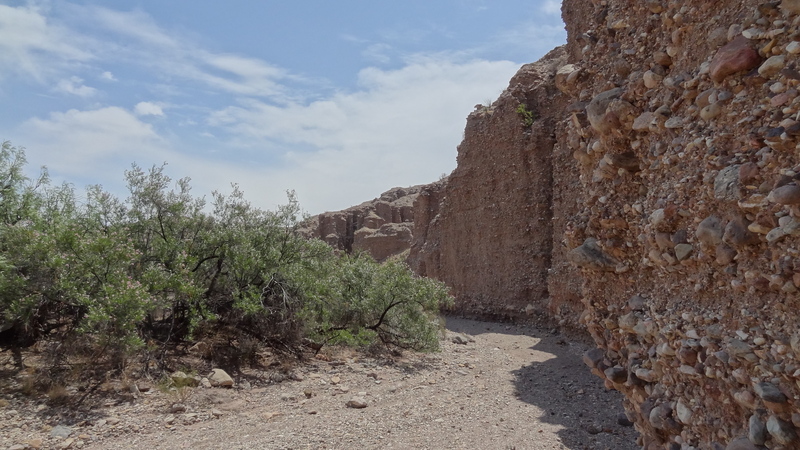 The last mile or so of Estufa Canyon widens out considerably and has 4 or 5 channels between the canyon walls as it reaches toward Tornillo Creek. This is the first wide open view to the east and is pretty impressive when it suddenly opens up before you. 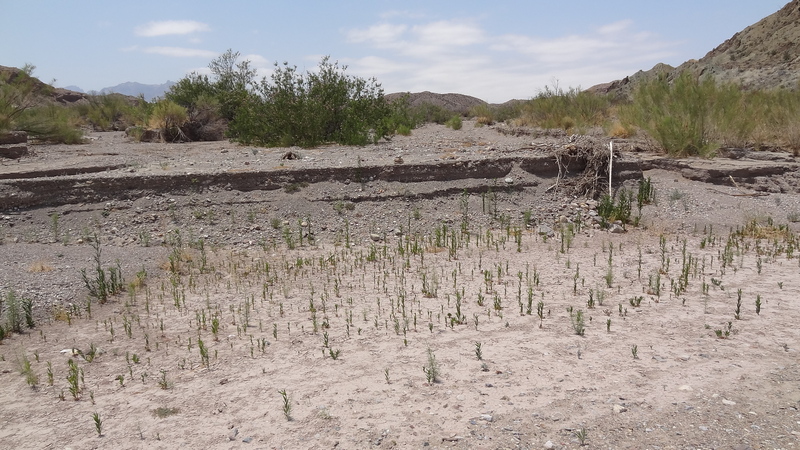 The mouth of Estufa was 3 or 4 feet higher than the Tornillo Creek channel when I was there, so Tornillo must have carried water last and cut across the mouth of Estufa Creek. 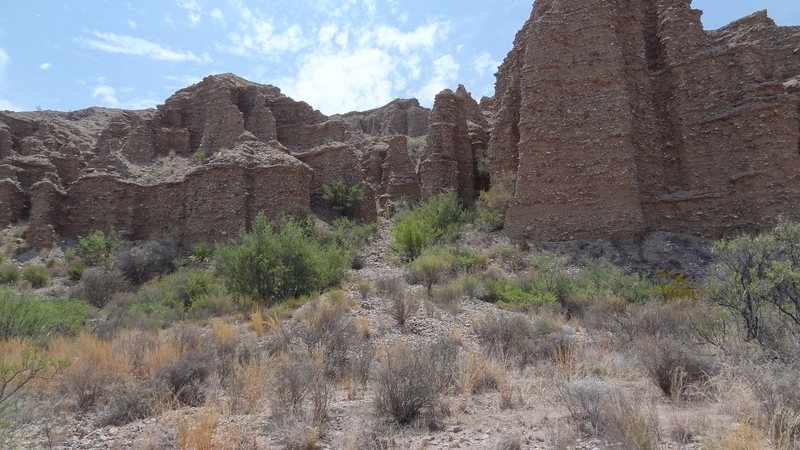 Something I did recall that Parent's book recommended was setting up a cairn at the mouth of Estufa Canyon upon reaching Tornillo Creek. This seemed a smart idea to help me find my turn off on the way back. 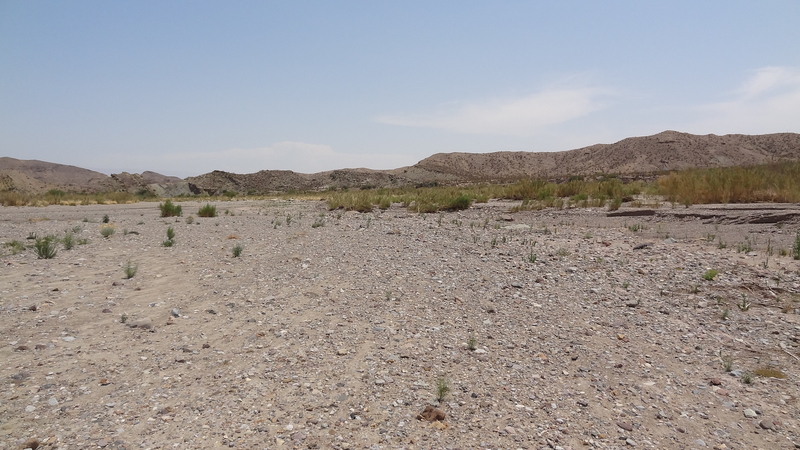 So I set one in the wash channel I arrived down, created a new waypoint in my eTrex20 GPS, which was right at 2:13pm, and then made second cairn out in the middle of the Tornillo Creek channel. Between my eyeballs and my electronics, I figured I should be able to turn up the correct channel on the way back. 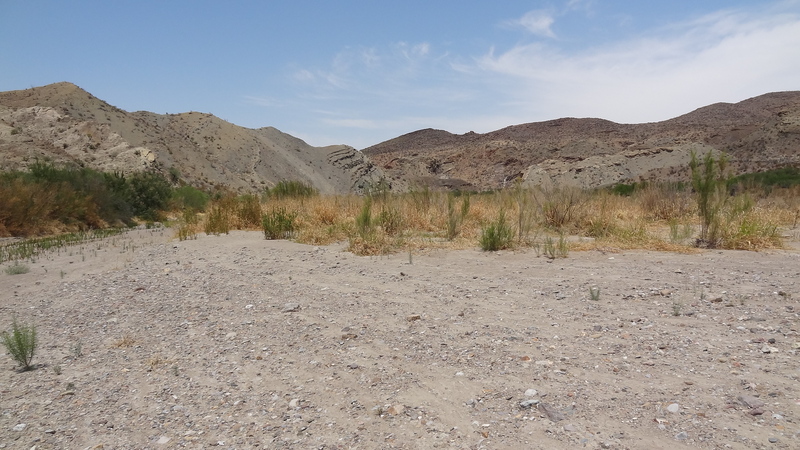 Walking up Tornillo Creek wash, about 2:30 pm, I reached what I thought appeared to be the start of the shutin. 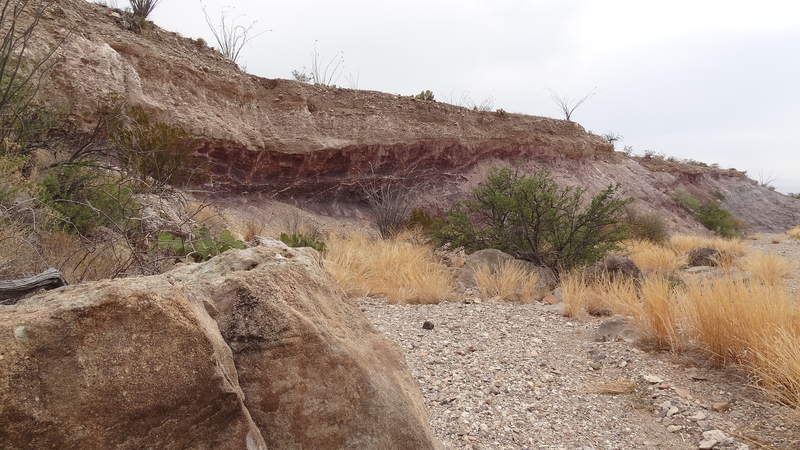 This was the first big dogleg where the bowling ball-sized white concretions with the blue lightning bolt radiating patterns are seen embedded in the bank and creek bottom. However, about 20 minutes later, I decided I was in the the shutin proper: There were 3 large pools of water and one small one. Below these pools was a large dry one that looked about 12 feet deep in the center. Thus far, I had gone 8.5 miles according to my GPS. Working my way up the Shutin, it was about 3:25 pm when I first spotted a black rock section far ahead in the distance up the narrow part of the Shutin, beyond the upper pool. Around 3:35 pm, I reached what appeared to be the north end of the shutin. After reaching the wide sweeping turn from northwest to northeast, I turned around and headed back to the shady upper pool for a late lunch and a much needed rest. Had gone 8.8 miles at the turnaround point. Took off my boots and socks, ate some snacks, and just soaked up the peaceful scene and the cool breeze coming down the Shutin. Before heading back, I dumped my 1-liter Nalgene into my hydration bladder and then collected and treated 1-liter of water from the upper pool. (By the way, I still have part of it home in the fridge). I had brought 4-liters plus a 20-oz Gatorade, so I thought I might like this margin of safety, since I thought I might be running close on water. Reluctantly, I got started on my return walk back to K-Barat 4:22 pm. 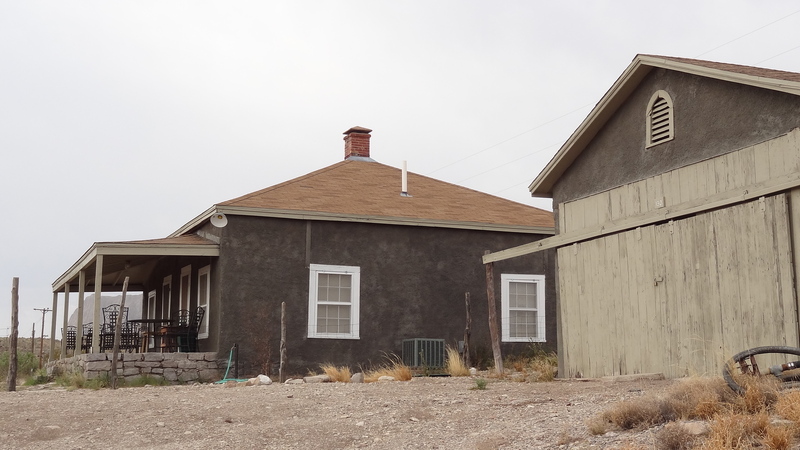 Since it was later and warmer now, I walked a different route winding my way back down Tornillo, seeking out the shadier side. Had to stop and stare a while to find my cairns I set earlier, I guess because of the change in direction and lighting or I maybe was just fuzzed out. 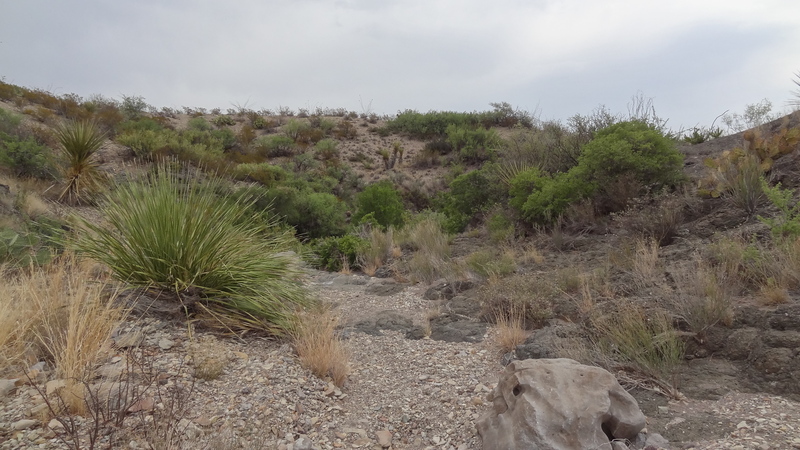 I did find them pretty quickly and began heading up Estufa Canyon. 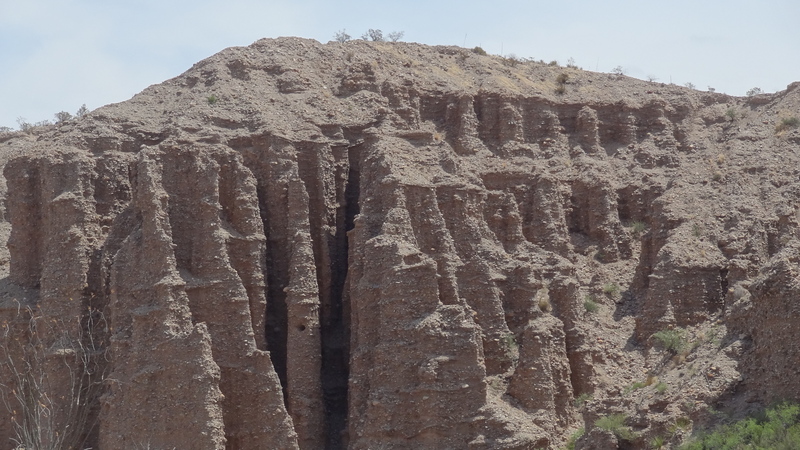 Now I found the cairns in Estufa Canyon only really make sense on the way upstream, due to the braided nature of the stream channels, as I mentioned earlier. Since I was now actively following the cairns on the return trip, I managed to discover the easier way back to K-Bar #2. 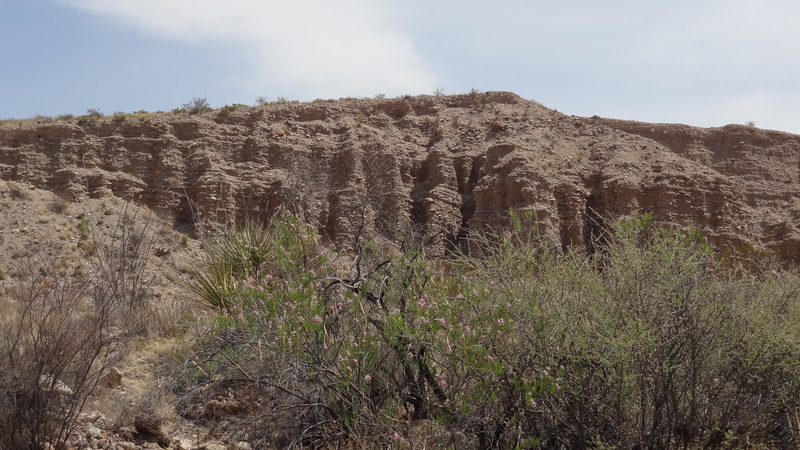 The last 1-1/2 miles, the cairns lead you to climb a steep bank out of the canyon. This spot is before, but not far from, Estufa Spring. 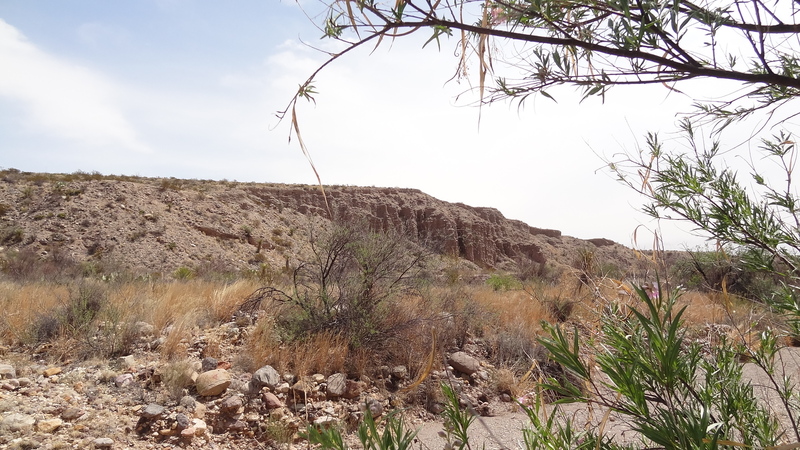 The rest of the walk then follows a light trail marked with cairns along an alluvial terrace above the canyon. I was glad to walk on firm ground again after miles of gravel. 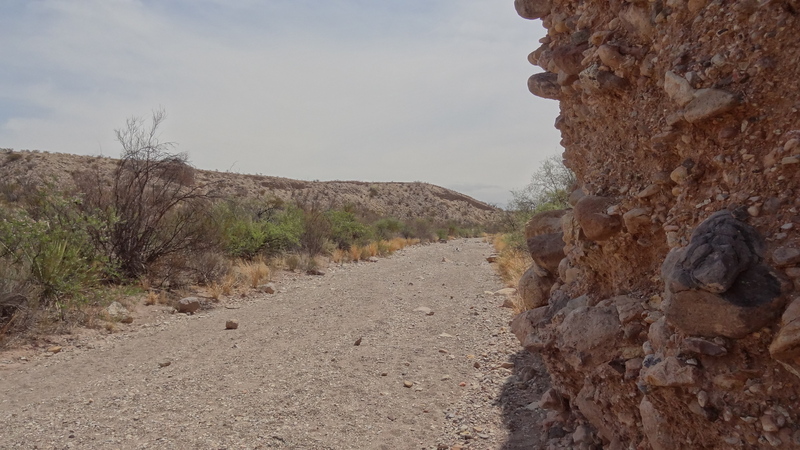 Earlier in the day, I had seen horse tracks on and off while coming down Estufa, but they did not reach Tornillo, so I assumed the riders must have turned off and riding a loop, perhaps going southward toward Dugout Wells up a branch canyon. 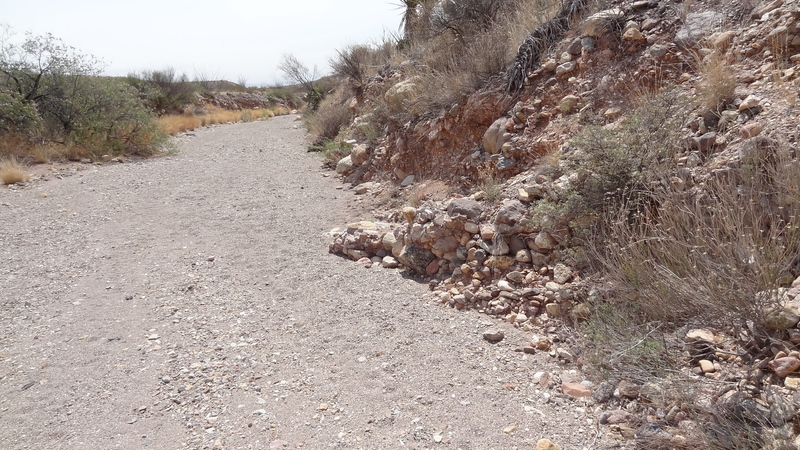 Any way, this higher trail reached and then turned north on the old road from Dugout Wells to K-Bar, where I arrived approaching from the south instead of from the east the way I had left. From far off, I could see that a couple had set up camp at K-Bar #2, so I swung around to the west side of the turnaround to give them plenty of space as I walked back to my truck, arriving there at 8:02 pm. They were quite friendly and curious about my hike, since I had left a note on my windshield stating my departure time and destination, which has become a habit of mine when I go solo hiking off-trail in the Park. In all, I used 4-liters of water and one 20-oz Gatorade on the hike. Did not use my 1-liter reserve I collected from Banta Shutin, but it now resides in my fridge at home, where I take an occassional sip of that sweet mineral-laden water, which seems to have a hint of bicarbonate taste to it. 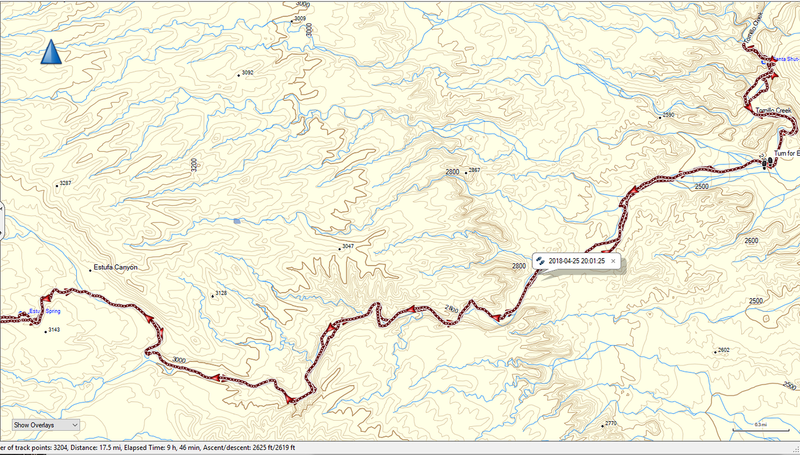 Total mileage was 17.5 miles, elapsed time was 9.75 hours with 2.5 hours of breaks and a moving average of 2.4 mph. Not a land speed record, but it was easy walking. Leave the hiking poles behind, which I found were not really needed. I ended up carrying them most of the way to the Shutin. Later, I folded them up and stowed them in my side pocket for the return hike. Put sunscreen on the backs of my hands. Wear sunglasses because it got bright after the front blew through. Bring a map for the big picture. At 8:20 pm, I pulled into PJ as it was getting dark to use the facilities and take off my boots. Drove straight back to my Basin campsite by 9 pm, where I cleaned up and changed clothes for the night. Being pretty worn out at this point, best I can recall, I probably relaxed in my chair for a while, ate a snack, and then went straight to bed, probably before ten o'clock. I'll hopefully post a map of my track and additional photos tomorrow. Great stuff Flash! Thanks for the intel. Here are some screenshots from BaseCamp of my track log to Banta Shutin from K-Bar #2. 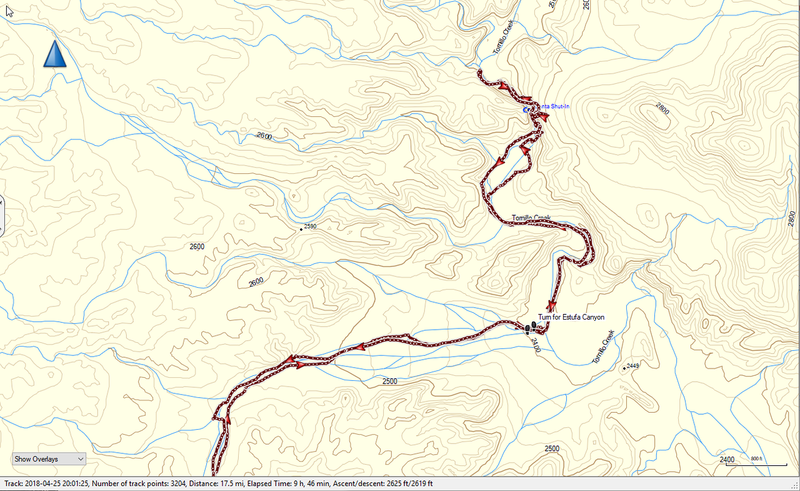 The topo map is complements of badknees. 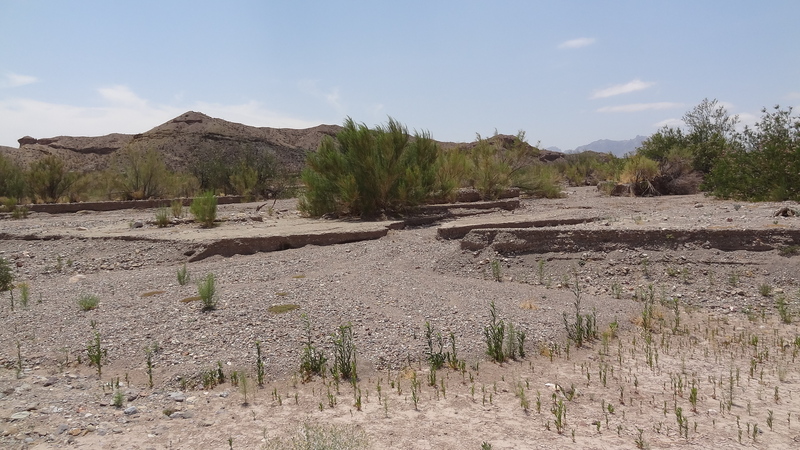 ....Now I found the cairns in Estufa Canyon only really make sense on the way upstream, due to the braided nature of the stream channels, as I mentioned earlier. 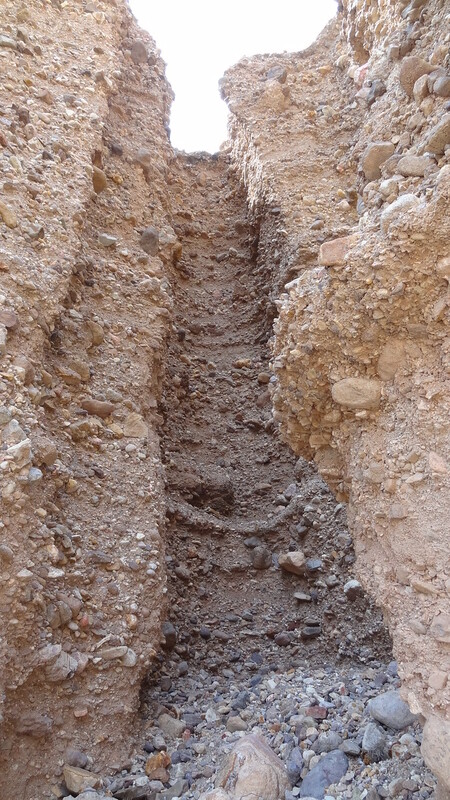 Since I was now actively following the cairns on the return trip, I managed to discover the easier way back to K-Bar #2. 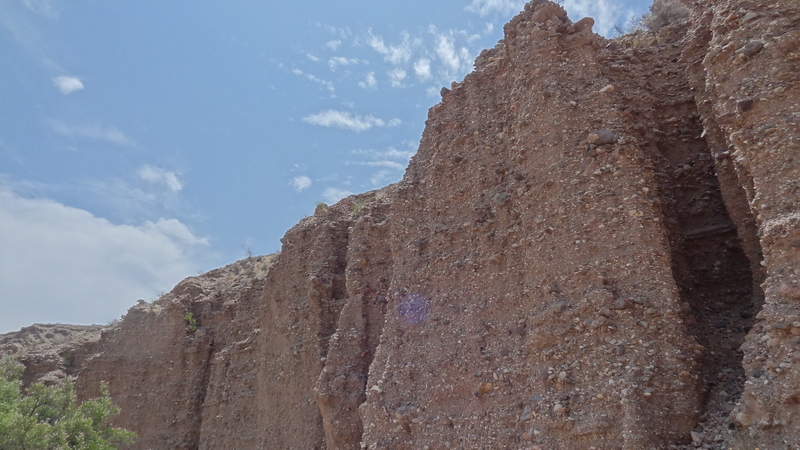 The last 1-1/2 miles, the cairns lead you to climb a steep bank out of the canyon. This spot is before, but not far from, Estufa Spring. 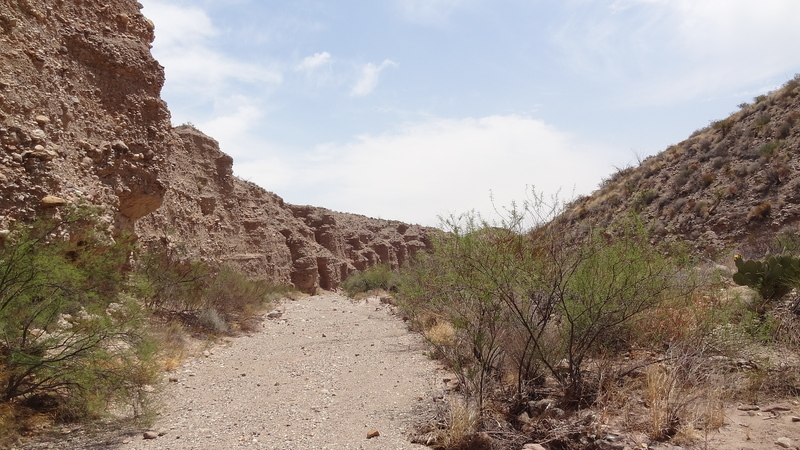 The rest of the walk then follows a light trail marked with cairns along an alluvial terrace above the canyon. I was glad to walk on firm ground again after miles of gravel. That's really good "boots-on-the-ground" info. Thanks, Flash. I had left a note on my windshield stating my departure time and destination, which has become a habit of mine when I go solo hiking off-trail in the Park. Smart move. Everyone should do this, every time. Did not use my 1-liter reserve I collected from Banta Shutin, but it now resides in my fridge at home, where I take an occassional sip of that sweet mineral-laden water, which seems to have a hint of bicarbonate taste to it. Haha! The behavior of a truly-committed Bender. 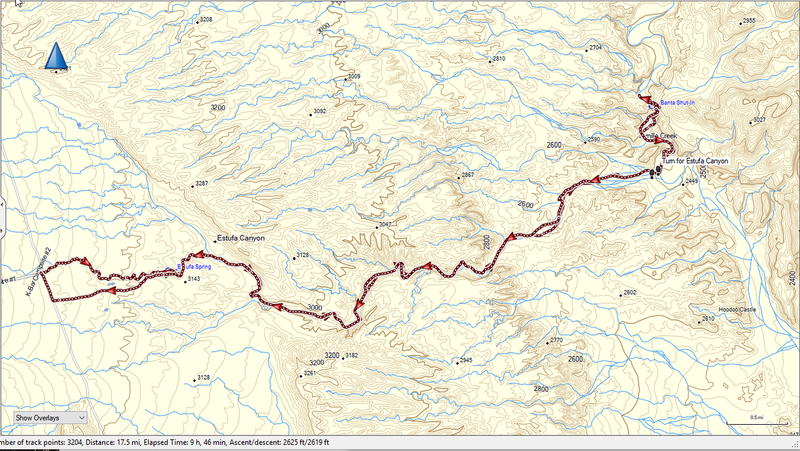 Total mileage was 17.5 miles, elapsed time was 9.75 hours with 2.5 hours of breaks and a moving average of 2.4 mph. Not a land speed record, but it was easy walking. By any measure, that was a heckuva hike, Flash. Well done! Flash I assume there are pictures associated with your Banta hike but I cannot see them on my computer. Great stuff as always. The rain had stopped. Took off my rain jacket. Sun starting to break out. Lush vegetation in the Estufa Spring area. No surface water found. 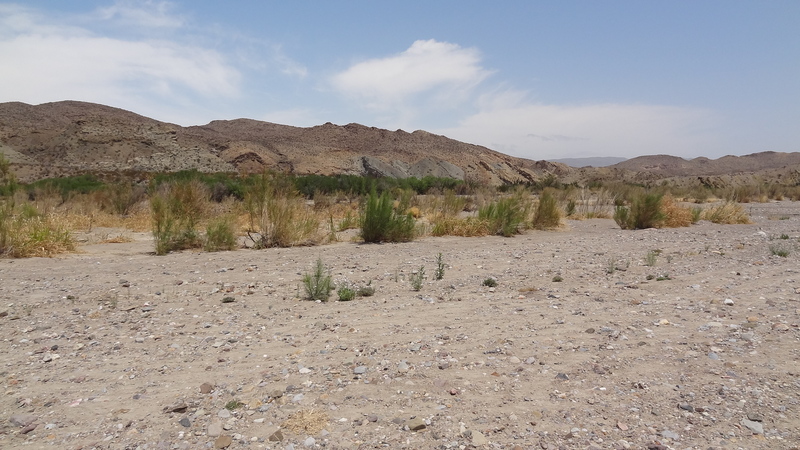 Tornillo Creek looking west at the mouth of Estufa Canyon. 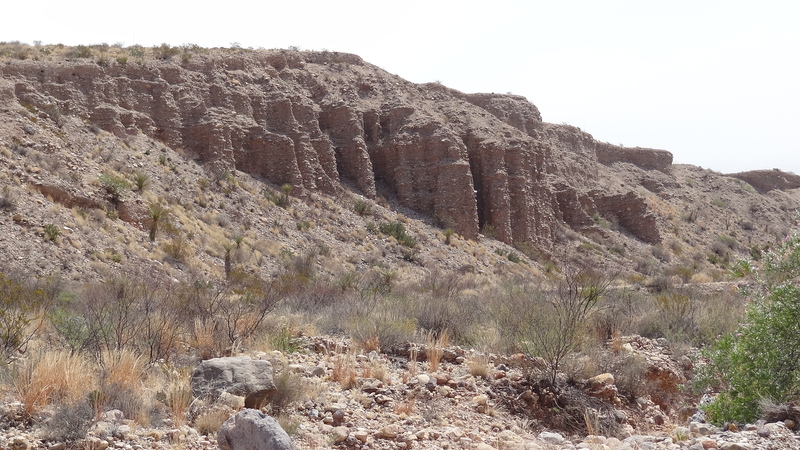 Note the mini-delta and sequential cutting and filling action between Estufa and Tornillo. 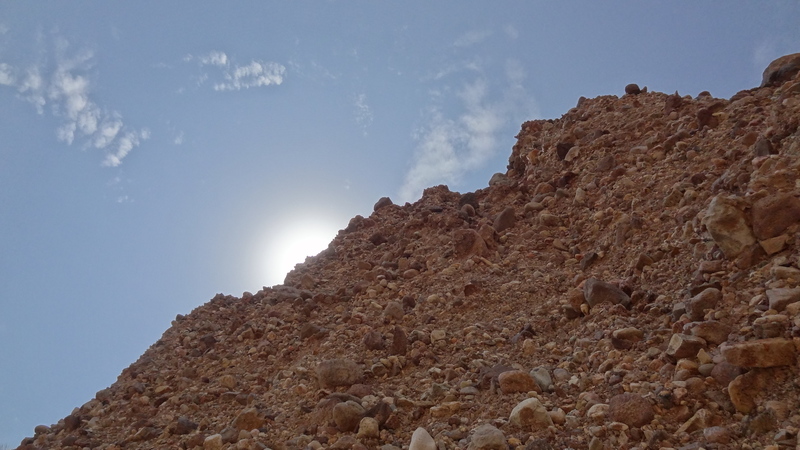 I hadn't gone too far before I realized there were no trail cairns in sight and I had forgotten to review Parent's write up on how this hike actually starts off. Probably for the best. The route in Parent's book (2nd ed) leaving K-Bar 2 is actually a third route, different from your coming and going routes, that totally avoids Estufa Spring. But that route is not visible on satellite as best I can tell. Your return route is clearly visible, though. 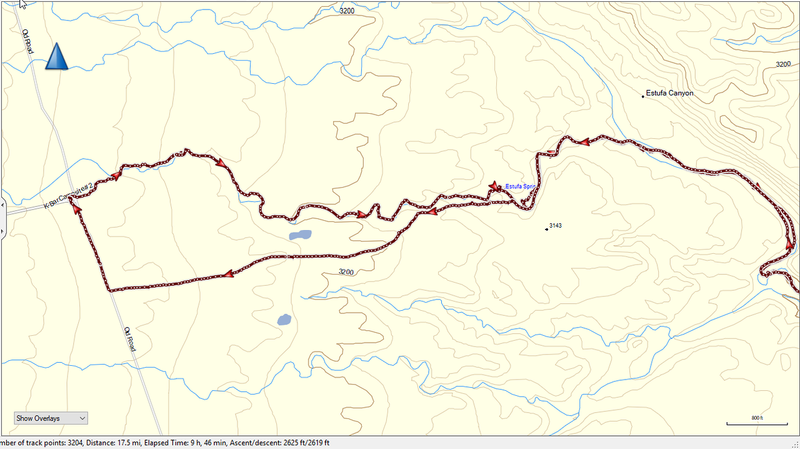 DRS, now that you mention it, I went back and reviewed the description of the start of the hike and agree it probably was for the best that I made my own way. 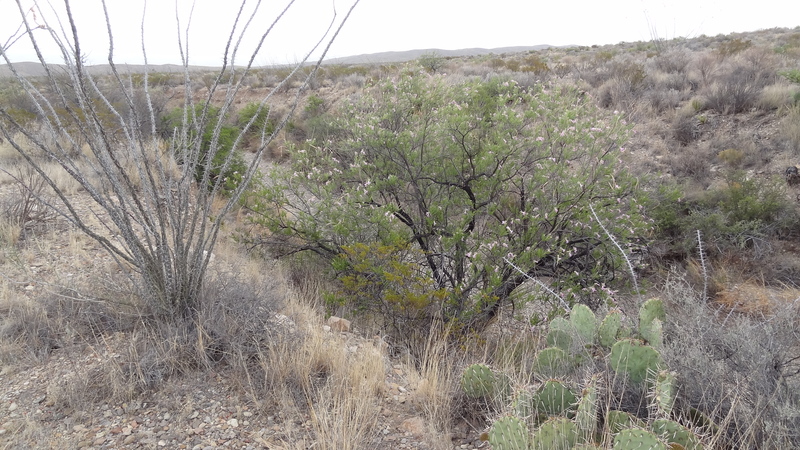 Although there are numerous old roads in the K-Bar area, using GE I cannot see clear evidence of the road described, except in the most vague way. I had just assumed my return path was the "official" path. 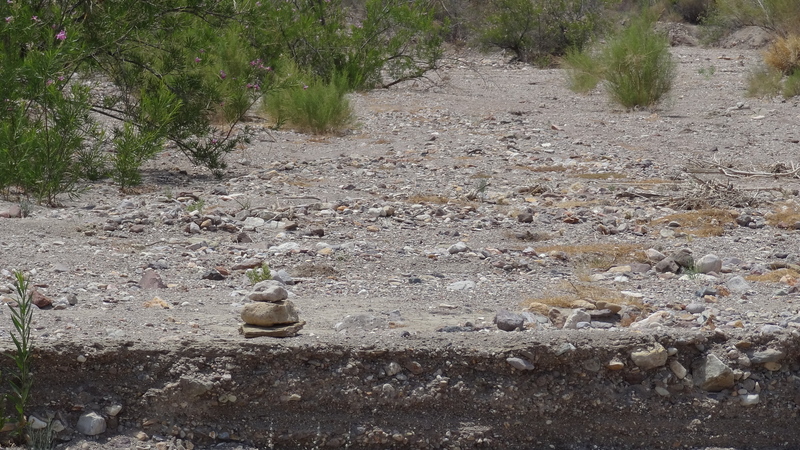 BTW, I noticed in GE, I could see a couple cairns that serve as a direction marker to exit the wash just SE of Estufa Spring.